IMS Relocation is an agent for Mayflower, the most recognized name in household moving services. Time is money, which is why we carefully and respectfully move your commercial facilities on your schedule. Mayflower has been providing international cargo and relocation services for more than 30 years. Whether for short-term or long-term storage, our warehouse is here to safely store your goods. to find out how we can provide a worry-free, customized plan for your residential or commercial move. At IMS Relocation, our local full-service movers have helped thousands of families and businesses relocate within the Dallas TX and Fort Worth area. We can also perform long distance moves, international moves, as well as auto transportation services for vehicles that need to be relocated and/or stored before or after the move. As an agent for Mayflower, we have the resources and support of an extraordinary nationwide moving network, as well as the equipment and training necessary to give you a seamless experience that meets all of your wants and needs. IMS Relocation began serving the moving needs of the Dallas TX and Fort Worth metroplex in 1991, and now also offers an array of the best storage solutions, including household storage, commercial storage, business storage facilities, and portable storage units. Complete customer satisfaction is what we strive for, and we achieve this by maintaining the highest standards for our moving professionals, training programs and equipment. You can rest assured that regardless of your moving or storage needs, our professionals are always there for you. The best overall moving experience that I have ever had!!! 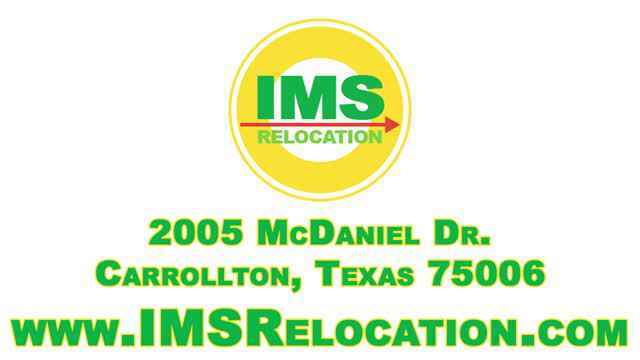 I hired IMS Relocation to move my family from Dallas to Fort Worth. I have nothing but great things to say about my experience from start to finish. We hired a 4 man, semi-truck crew and it was awesome. Professional, courteous, fast, friendly, approachable and all at a very competitive price. I am definitely going to hire IMS on my next move. All the personnel involved were very professional at their job – packing, loading and delivery as we moved from Plano to Houston. I don’t anticipate moving again in the near future, but would highly recommend IMS Relocation. I have used IMS for 3 moves within the city of Dallas. I have used IMS for 3 moves within the city of Dallas. Mike Lohner operates a professional, efficient, and thorough business. He and his colleagues have been true gentlemen to work with. I highly recommend this company because they make moving a little less “miserable”. I will use IMS, again, should I move within the city again or out of town!! I just wanted to say “thank you” for the move. I wanted you to know that your guys were top notch! They were professional, efficient, and extremely kind to my wife and kids. (Even in the torrential rains) I will gladly recommend your company to anyone who is moving. Hope your day is blessed! Would HIGHLY RECOMMEND THEM !!! We needed 3 men and a truck very quickly(one day) and our needs were definitely met. The 3 men who showed up were early and worked very quickly and efficiently without doing any damage at all. They were so pleasant, fast and friendly that we are ready to move again !! We definitely will call them again in a few months when it is time to move the belongings from storage to a home. Would HIGHLY RECOMMEND THEM !!! My move was in Frisco and due to a flood, so the movers not only have to move and pack me out but also move and unpack me back in. We have only done the move out so far. Mike and Chris handled the estimate and delivered in a timely fashion. The moving crew did a great job too. Gabriel was the crew lead on the move and they were very professional and helpful. IMS Relocation did what they said they would do. From the walk thru for the moving estimate to the loading and unloading of the truck, the personnel gave great customer service, and there were no hidden charges and the cost was what the estimate showed. Hopefully I will not have to move again, but if I do, I would use this company again. Just great customer service. Our move was done professionally and quickly. Used this company 7 years ago and called them again for this move. These are MY MOVERS. Outstanding service; the packers were wonderful and the delivery guys as well. Would definitely use this company again! - Would HIGHLY RECOMMEND THEM !!! - I have used IMS for 3 moves within the city of Dallas. - The best overall moving experience that I have ever had!!! ©2012- 2019 All Rights Reserved. IMS Relocation. Mayflower Transit, LLC, U.S. DOT No. 125563 Mayflower Transit, LLC, U.S.